Hello! Welcome to the world of the Foster Heroes Series! 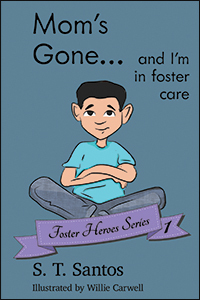 The Foster Heroes Series is a heartfelt journey describing what children who are placed in foster care are feeling as they go through the process. Over 500,000 American children are in foster care, taken away when their parent(s) were in crisis. Some children are reunited after their parents settle their issues; some children are never reunited and become wards of the state. Some children spend years in "the system" and eventually leave at the age of eighteen, ill-prepared for the harsh world that welcomes them. 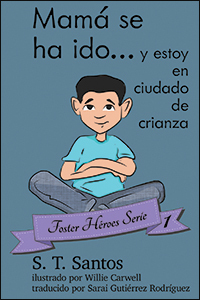 My hope is that Foster Heroes Series touches the lives of children and adults in and out of foster care. To order from amazon, click on the cover. Donate a book to your local CASA office and foster care agency today! The first book in the Foster Heroes Series, Mom's Gone… begins the day that Frey’s mom doesn’t come home. Certain that she will return in a few days, Frey takes very good care of himself, makes food, goes to bed on time, and goes to school. But when his teacher realizes that Frey is living alone, she contacts Child Protective Services, who puts Frey into “the system.” First in the Foster Heroes Series, Mom's Gone… takes you through Frey’s journey, and how he finally finds a home where he makes friends, and feels safe, until his mom can return home. Moms Gone… is now available in audio! My Parents Made a Mistake…begins when Harmony breaks her arm, and her mom takes her to the hospital emergency room. Not only does Harmony's arm hurt, but she's confused by all the strange questions. Suddenly, Miss Eddy, a kind lady (with hairy hands! ), takes Harmony to live with a foster family. 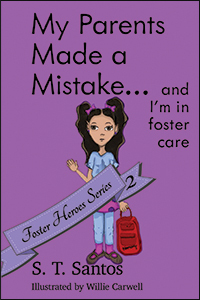 Second in the Foster Heroes Series, My Parents Made a Mistake…takes you through Harmony's journey as she moves in with Nora and Bob's foster family, goes to a new school, and makes new friends, while her parents learn to fix their mistake. My Parents Made a Mistake… is now available in audio! 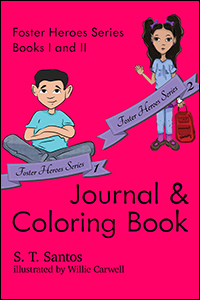 Welcome to The Foster Heroes Series Journal and Coloring Books I and II, a companion to the The Foster Heroes Series, Books I and II, first chapter books for kids whose parents are struggling with adult problems. Kids young and old who are about to enter, or are living in, a foster home can use this book to explore and express their thoughts and feelings by keeping a journal, coloring, and drawing.